Insurance Advisernet Merimbula opened on the South Coast of NSW in July 2005 by Merimbula local, Kristy Martin. Kristy has gained extensive experience in the general insurance industry, working locally and in Sydney since she was 16. Due to the proven commitment to clients, and high quality customer service, the business has grown dramatically over the years with the addition of several staff members. Kristy and her team understand what is involved in running a business and offer fast, efficient and reliable service. Insurance Advisernet Merimbula’s expertise and friendly service sees clients all over Australia turning to them for their insurance needs. Insurance Advisernet Merimbula is the only 100% locally owned and operated insurance advisory group in the area. With high quality trained staff and professional but caring service, they continue to grow on the South Coast of NSW. Insurance Advisernet Merimbula are specialists in all General Insurance, including, but not limited to, Business, Farming, Truck/Heavy Motor, Trades, Professional Indemnity, Commercial, Domestic, Construction, Workers Compensation, Green Slips and much more. Kristy left school at the age of 16 after accepting a position at the local insurance brokerage, M & F Agencies. Kristy since moved to Sydney to expand her technical knowledge in the industry. After gaining valuable understandings of the industry, Kristy moved back to her hometown Merimbula, to start up her own business. With courage a determination, Kristy opened Insurance Advisernet Merimbula in July 2005. Kristy is proof that a friendly face and kind heart goes a long way. She has gained trust and respect from all local business and personal clients. Ashley originated from Bemboka where most of her family own and operate dairy farms. She has since relocated to the locality of Candelo where she enjoys spending her time broadening her knowledge of the farming industry and socialising amongst the local community. Ashley is the newest member of the Insurance Advisernet team, joining in June 2015. Having worked previously for a local brokerage since 2013, Ashley has demonstrated a strong ambition and drive for success. A local Bega girl at heart, Tracy has since settled with her family in Merimbula. Tracy has been working in the industry since 1994 where she first started at M & F Agencies. After experiencing huge changes within the industry, Tracy has been able to pass on her knowledge to her clients and colleagues. Tracy’s eye for detail ensures all clients can rest easy knowing that they are fully covered for all aspects of their policies. Insurance Advisernet Merimbula Pty Ltd is a Corporate Authorised Representative of Insurance Advisernet (IA) founded in 1996. IA are a national organisation in both Australia and New Zealand and this allows Insurance Advisernet Merimbula Pty Ltd the benefit of maintaining their local presence whilst being able to be part of a national group for products and services needed by their customers in todays complex business world. Thank you for contacting Insurance Advisernet Merimbula Pty Ltd! Your message has been sent successfully. One of our skilled Advisers will be in touch with you shortly. It has been my absolute pleasure to be associated with, and being a client of, Insurance Advisernet Merimbula for many years. Kristy and her team have looked after my insurance needs, both personal and business, in a very professional and caring way. For the few times we have needed to make a claim, it has been very comforting to know they are only a phone call or visit away. When it comes to getting the best products at the best price, I would gladly recommend IA Merimbula to anyone. It is a please to go into their office and be greeted with a smile and very professional attitude. Thank you for all your excellent service over the years, and looking forward to our continued association. We have been with Kristy and her team at Insurance Advisernet for several years. During this time we have found Kristy and all the girls to be nothing but efficient, friendly and helpful. We have had a number of small claims which we have never had a problem with. The girls always go out of their way to address any queries. Having just moved into a new premises with just one phone call our policy was updated without a fuss. It has been a pleasure to be associated with Kristy and the team at Insurance Advisernet and we look forward to many more years. Kristy, congratulations on reaching 10 years of impeccable service. Shop 5 / 6 Alice Street, Merimbula. 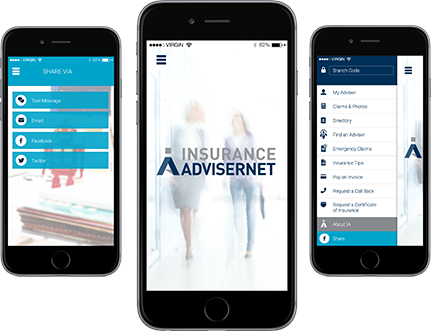 Insurance Advisernet Merimbula Pty Ltd is a corporate authorised representative of insurance AdviserNet Australia Pty Limited. Corporate authorised representative number 320863.